Carlo Strati and Riccardo Baldo, the box-owners of CrossFit Varese, are giving us a little insight into what happens at his BOX! Enjoy another episode of our Europewide BOX interviews. For the past 20 years I’ve been working as a bodybuilding instructor until I had to stop for an injury. At that time my friend Riccardo, who is my actual business partner, told me about CrossFit: at first I was skeptical, it was so different from my usual training for mass, but I decided to give it a try… I soon found that I wasn’t really able to complete many tasks, despite the fact that I had spent much of my life in the gym among weights! So I went back to basics and practiced again and again in my garage. Step by step I increased the intensity and variety of my workout and within a few months I had achieved concrete results! In less then one year I also had my L1, CPC, Judge, Gymnastics and Mobility certifications. After trying CrossFit I realized that I’ve been wasting my time at the gym and that if I had been given the advice to practice with gymnastics and olympic lifting when I was a boy, I would have probably become a super athlete. That’s why my mission is to spread the word of CrossFit and the power of the real fitness in my own box! What makes our box standout from others is the brand new industrial building with 800mq for indoor training, powered by our partner Again Faster, and more then 1.000mq outdoors. We have facilities such as locker rooms and showers for more then 35 people (also disabled), medical assistance, parking for more then 50 cars and living room with lunch service and free Wi-Fi. 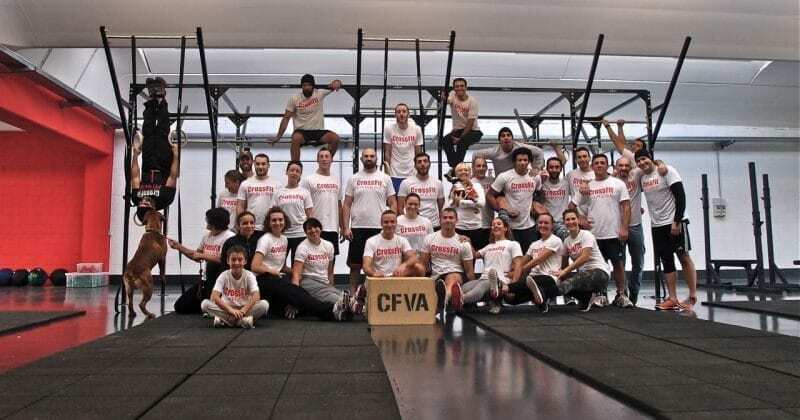 We are putting all our efforts into building a strong CrossFit community in our town and everybody is welcome: both athletes and newbies, young and old, families… and dogs too! We started one year ago in a small room inside a fitness center with only 20 members. Now we have just moved into the new box, which is the biggest box in Italy, and in less then one month we have 100 members, it’s amazing! We are not warriors, we are just normal men and women, from 15 to 60 years old, who want to get better all together. We are a family! Not at all, we are and we’ll always be a 100% CrossFit box! Nutrition is a complex matter and too often gym trainers give wrong advices about what clients should eat. A wrong diet is first of all unhealthy, that’s why we decided to have a sport doctor specializing in nutrition in our staff for this kind of consulting. You will start with the on-ramp course: it will be a small group training (up to 4 people) or a personal training according to your needs. In a week you will learn the basics of CrossFit and try simple WODs. After that you will join our regular classes and follow our programming with scaled WODs until your technique is good enough to allow you to follow RX workouts with consistence and intensity. 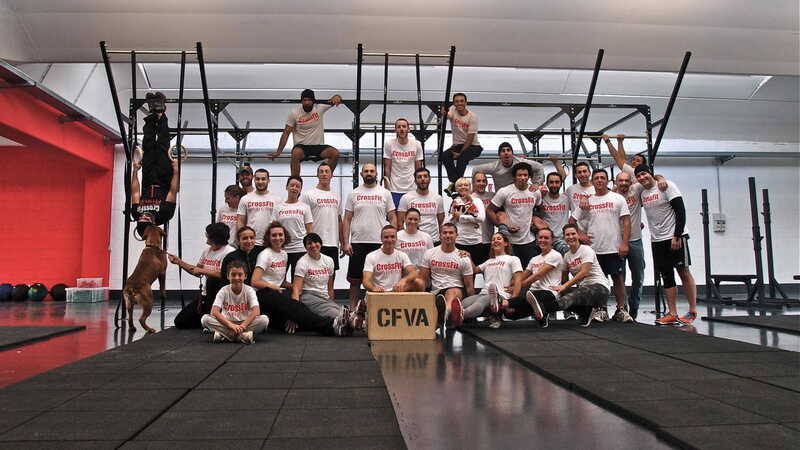 Many of us have competed in 2013 CrossFit Games Open, Italian Throwdown and Battle of London. We have also organized some competitions with other boxes. If you are affiliate to CrossFit, loyal and humble, then your box and our box are natural friends. That’s why we have many links with other boxes in northern Italy, in Switzerland and in UK. But if you run your business only to make money and your box is filled with your ego, well, you better stay away from us. We always love meeting new people from around the world so if you are an experienced crossfitter visiting from out-of-town and you would like to drop-in to one of our classes, you can join any of the scheduled classes without booking, just show up ten minutes early. We also have really cool t-shirts, so you can bring in your local one for an exchange!